During a recent meeting with a prospective client, the inevitable discussion about compensation arose. The potential client expressed concerns about hiring a grant writing consultant based on two previous experiences. In the first, he paid a grant writer $2,500 up front to develop several proposals. Midway through the development of the first proposal, the client communicated some concerns about the quality of the work and requested changes. The grant writer quit mid-proposal without refunding any of the compensation for incomplete work. The client later approached a second grant writer about completing a small grant. The grant writer agreed to do the project for a percentage of the grant award. Fundraising professionals, including grant writers, are regulated by federal and state laws, the latter of which varies depending on the state. 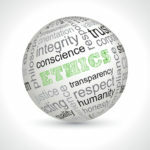 Furthermore, grant writing professionals who are members of professional organizations such as the Grant Professionals Association (GPA) or the Association of Fundraising Professionals (AFP) agree to adhere to a Code of Ethics. These codes are designed to ensure that the relationship between funders and grant professionals is built on trust, honesty, and transparency. Grant writers should not request compensation based on a percentage of contributions or contingent upon award of the grant. Think of it this way – doctors are paid for the services rendered without regard to your diagnosis or the probability of you recovering. Grant writers should not receive or handle funds from a grant award. All funding requested should come to your organization. Grant writers should never agree to apply for a grant on your behalf. You should always be listed in the application as the grant applicant. Palmetto Grant Consulting prides itself on providing high-quality, professional grant writing services in full alignment with fundraising codes of ethics. Contact Palmetto Grant Consulting to experience a positive, professional grant writing process designed to give you peace of mind in your fundraising efforts.